Television Centre, opened to the public for the first time since its launch as the headquarters of BBC Television in June 1960. It includes the unique question mark design, conceived by architect Graham Dawbarn, for the world’s first purpose-built television centre. Iconic features of the former BBC Headquarters that have been refurbished and renovated include the “doughnut” and façade, Studio 1, the atomic dot wall, the John Piper mural and old Stage Door, the forecourt and frontage on to Wood Lane. The Helios sculpture made by T.B. Huxley Jones to symbolise the radiation of television around the world continues to be the centrepiece of Television Centre, framed still by the characters of vision and sound, the components of television. 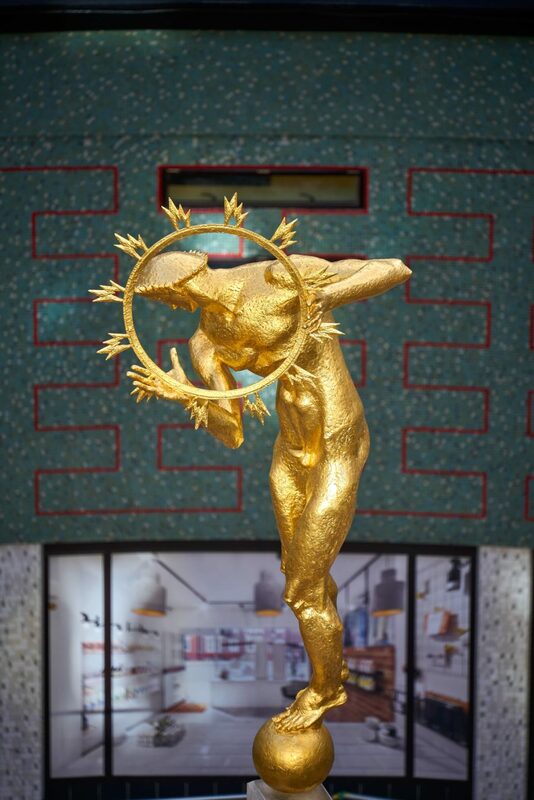 Visitors and residents will be able to enjoy a fantastic mix of dining and leisure experiences, with pizza-experts Homeslice, Contemporary Indian kitchen Kricket and landmark London restaurant Bluebird. Soho House have announced that they will be opening White City House their new private members' club and hotel at Television Centre in April. In 2017 the BBC returned to three refurbished studios and in 2015 BBC Worldwide moved into office space at White City and they have since been joined by ITV. The White Company’s decision to move its head office to Television Centre, neighbouring major brands like Yoox Net-A-Porter and the Royal College of Art at White City Place further confirms White City as a destination of choice for some of the most interesting and vibrant businesses. Mary Homer, CEO of The White Company, said: "We are delighted to confirm that our new Head Office is due to open next month at 2 Television Centre. Television Centre is an incredibly exciting and vibrant destination and this is a significant milestone for the company as we enter our next phase of growth and develop our business internationally."